Updated to reflect the 2013 Omnibus Final Rule. 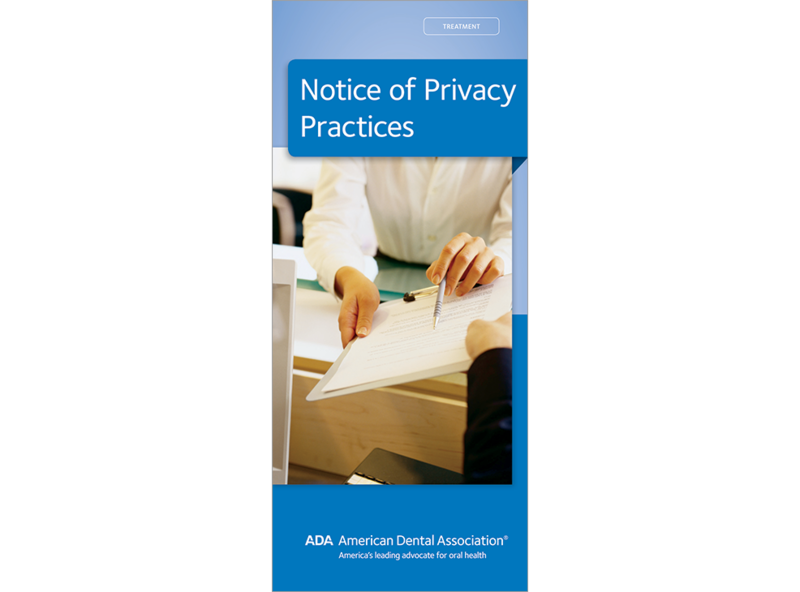 Let this attractive brochure, written by the ADA, serve as your Notice of Privacy Practices. This brochure describes how health information may be used and disclosed and how patients can access this information. Purchase includes free personalization of office contact information. 8 panels. Minimum order 150. Click Add to Cart then personalize for free.